Some time ago Jonathan Goldberg of Le mot just en anglais, asked me to post here an announcement that he was looking for a collaborator for his excellent bilingual blog. I still desperately need translators - native French speakers who will be prepared to translate from English short articles in fields that are close to their hearts and at a regularity of their own choosing. 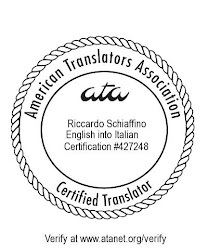 In all such cases, the translators will be be credited and a link will be provided to their own blogs. Very active, quality blog (Le mot just en anglais), a collaborative effort of language lovers in different countries, needs the assistance of a native French speaker, preferably a professional translator, to translate at least one article a week. (Sample article available on request.) (voluntary work) Credit will be given to the translator at the end of each article, as well as a link to the translator's website or blog, if such exists. If you are interested, please write to le.mot.juste.en.anglais@gmail.com with a short biography, city of residence and telephone number. Are you offering a job? A french to English translator? Stubby, please read my post: I am not offering anything - as a favor to another blogger I've posted an ad to invite interested English to French translators to contact Jonathan if they are interested in translating for his blog.